Adlens was created to address the unmet need for corrective vision in the developing world and to develop commercial applications of variable focus lens technology. We created this case study / product video for them in 2016. They came to us with a need to produce a documentary style video for their eyewear product, Focuss, featuring their customers giving testimonials. We traveled all across the country capturing their customers in their homes or places of work. We had a 2 unit crew in order to deliver the final video in the tight turnaround Adlens required. 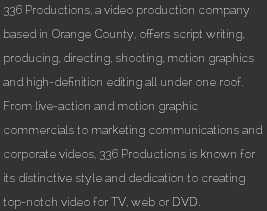 From conception to completion, we provided all services necessary to complete the video.